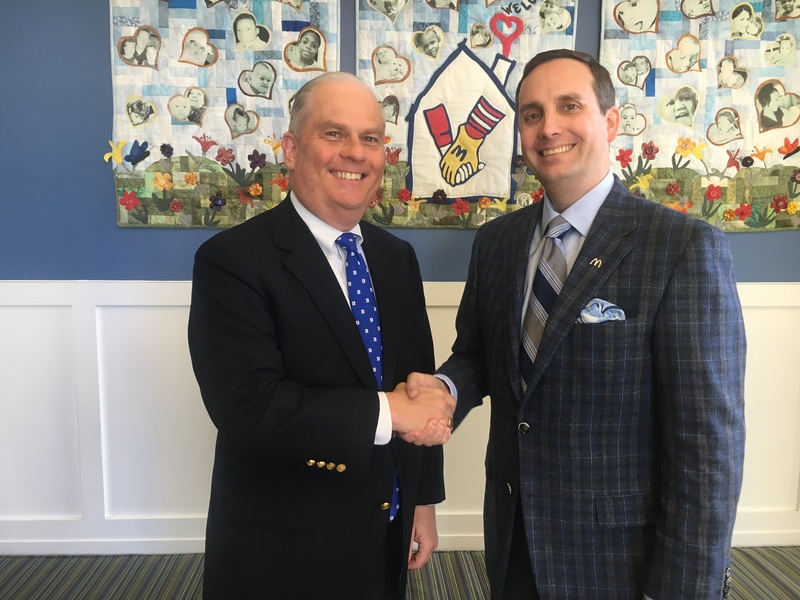 Pictured: Randy Nichols and Rick Hanna Jr.
Each year Ronald McDonald House Charities of Alabama says farewell to those who roll off the Board of Directors and welcomes new members. 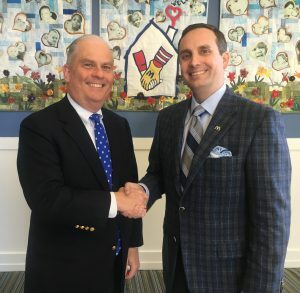 This year the Board President gavel was passed from Rick Hanna Jr. who is a McDonald’s Owner/Operator to Randy Nichols who is a Senior Partner at Massey, Stotser & Nichols, P.C. Rick lead us through a successful capital campaign to expand our current house from 41 to 73 guest rooms. Now Randy picks up and leads us through the construction phase of the project and the opening of a family room at UAB Woman & Infant Center. With diligence, integrity and compassion, Ronald McDonald House Charities of Alabama joins and aids families in their efforts to find hope, support, happiness and growth, regardless of obstacles placed before them. We could not accomplish our mission without the great leadership of our Board of Directors. We want to thank Mary Ellen Clark, Tammie Howard, Keri Massey, Andy Peters and Connie Stein for their years of service and dedication to making our mission possible. 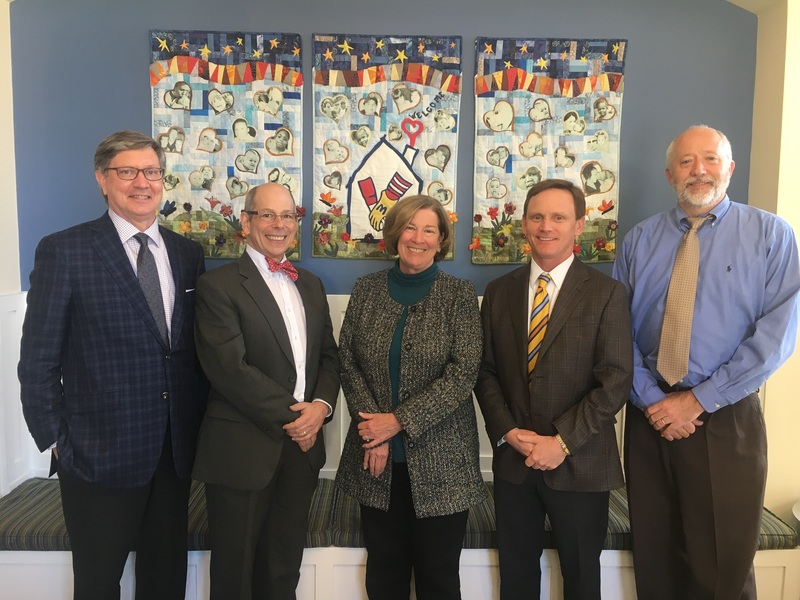 We would also like to welcome our new Board Members, Bob Barker President of Barker Advertising, David Clark Financial Analyst at Bridgeworth Financial, Dr. Mitch Cohen who is the Chair, Department of Pediatrics at University of Alabama at Birmingham and Physician-in-Chief at Children’s of Alabama, Kathy Emison who is a community leader, and Emmett McClean Cheif Operating Officer at Medical Properties Trust.